These are Jesus’ words to the disciples. The elders here at New Life spend much time praying for God’s lead in decisions affecting New Life. The most recent major decision has been how to proceed with youth ministry. It is clear that young adults are leaving the faith after graduating from high school. Recent statistics according to data from The Southern Baptist Convention demonstrate that 70% of teenagers involved din church youth groups stop attending church within two years of their high school graduation. Another study points out that 63% of teenagers attending church don’t believe Jesus is the Son of the one true God. 51% don’t believe Jesus rose from the dead and 68% don’t believe the Holy Spirit is a real entity. Now I’m sure that isn’t the case here at New Life but it points out the crisis the church is currently facing here in America. Jesus states “He” is building the church but like everything in life we think we have a better plan. 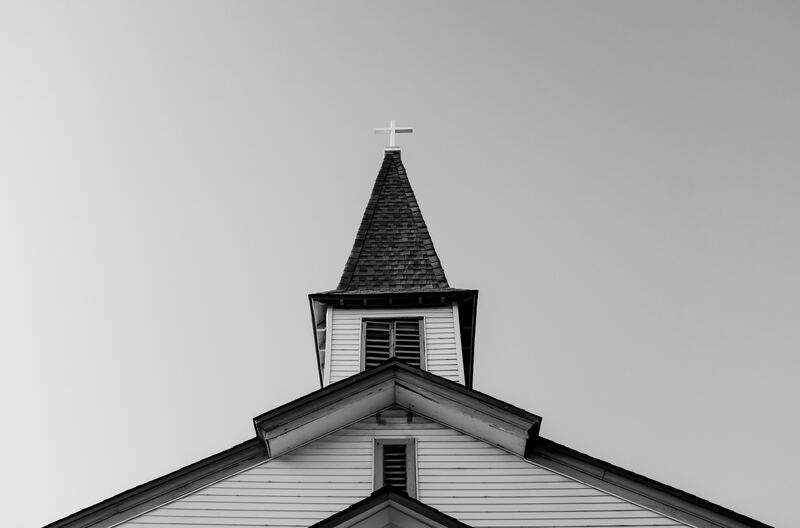 If we remain rigid, focused on programs without Christ’s lead, the church will continue to see the mass exodus of the young from our churches across the US. We here at New Life believe God is calling us to change course which is admittedly difficult to do at times. On the other hand, isn’t it comforting to know that Jesus is in charge of growing His church? It can’t be based on following an equation from the latest best seller on church growth or by building an impressive building. It can’t be based on the pastor or a worship band with all the bells, whistles. It will only have healthy, lasting growth when the church is focused on “Only Jesus,” as our sign declares. When faced with difficult decisions here at New Life – or in our own lives – how should we proceed? Prayer is the first place we go. Jesus went to the Father in prayer continually, and certainly when faced with difficulties. Like Jesus, we must ask God for wisdom; with the help of the Holy Spirit, the decision reached shouldn’t lead to anxiety or worry. Here at New Life major decisions like adding a pastor, budget decisions or changing the way youth ministry is done are backed by fervent prayer. In this way we are unified and comfortable, at peace with the direction we are moving, as it isn’t based on our own lead. Secondly, we must make decisions based on Scripture. We can’t base a decision on something that would go against God’s Word, for it is our compass. So we work together, seeking counsel in prayer, in God’s Word, and in each other. “Plans fail for lack of counsel, but with many advisers they succeed” (Proverbs 15:22), true also in marriage, where we shouldn’t make major decisions without involving our spouses. I have found that Cory has better discernment in regards to many issues and going against that tends to have a poor outcome. I have no peace if we don’t make the decision together. Cory and I have been blessed to be a part of the original group of people who initially met with a God-stirred desire for a church that was different from ones we had come from. We knew nothing about church planting, had no financial backing, no business experience, no seminary degrees and no pastor. We met at El Salem Baptist Church on Saturday nights using videos to study the Word and enjoyed a meal following the service with the people who came (which we still do!). When the time came to consider a pastor, a group of us sat down and listed the characteristics of the future pastor we would like. We quickly came to the conclusion we wanted Jesus to be our pastor. Only Jesus. Our gracious God has blessed New Life from the beginning. We have never been short of finances. When we outgrew our second meeting space, this current building was given to us in a deal that only God could have orchestrated. We’ve been blessed with great pastors and are able to give ongoing support to several wonderful missionaries. In the time that New Life has been in existence, we’ve had to say goodbye to 3 pastors, most recently Pastor Chandler who is greatly missed. We continue to be blessed by the arrival of Pastor Paul and, soon, Pastor Bennett. God continues to orchestrate every move. Pastor Bennett’s house has already sold as he prepares for the impending move. It’s almost like God had something to do with this? Lastly, I come to you here today. We thank God for every one of you, for He has called you here. He has given each of you specific gifts like music ministry, hospitality, teaching, finance, building knowledge, prayer, missions, encouragement, etc. to be used for His Glory and to build up His church. Look around you as you read this and see that we are a healthy church body made up of all ages young and old. It is our desire that we be one body centered in Jesus alone and without division. Now what does that look like to the outside world? As a nation we are much like Israel of the book of Judges. We are turning further and further from God. We have taken for granted what God has done in this nation, removing him from our schools. We have turned to gods like self, money, fame, etc. Oh how we need a Savior. May New Life be known for eternity as the church built by Jesus so that gates of hell shall not prevail against it!